Our budget had been stressing me lately and not because we were money on tight, but because our budget just seemed too complex due to the amount of budget categories we had. Our budget was becoming more and more time consuming to update, which has the unfortunate impact of making me want to update it less often. This of course leads to more to more stress since the budget wasn’t current. Yes, so I’ll admit, I’m a little OCD about our finances…just bear with me. Practicing the same concept we apply to our house once or twice a year, I decided to clean house on our budget categories. Before the clean-up, we had a little more than 50 different budget categories. I walked through each of them and asked the question: “Do I really need this level of detail?” If I answered “Yes“, I asked two follow-on questions: “Why?” and “How does it benefit me?” If I didn’t get a good answer to both, the category was removed. Yes, I did ask these out loud a few times, which resulted in a few strange looks from my wife and kids…but I’m used to that. I use You Need a Budget Pro (YNAB) to manage our finances and budget. YNAB has master categories and categories. Master categories provide a roll-up of all the categories. For example the Housing master category, could contain categories for: Mortgage, HOA Fees, Insurance, and Maintenance. In addition to having too many categories, I also had far too many master categories. So I consolidated them as well, using the same set of criteria I used for regular categories. One of example of where I consolidated: Prior to doing the cleaning, I had a master category named Food, with sub-categories under it for Groceries, Eating-out, Lunch, Kids Lunch, Starbucks and Misc. Since I now work at home, I don’t eat lunch out anymore, I also don’t buy Starbucks out much at all, and never use Misc. So Lunch, Starbucks, and Misc all got nuked. I left Groceries and Kid’s Lunch as I wanted to be able to track and manage our children’s hot lunch spending. All in all, I trimmed a 50+ category budget down to around 20 categories. That’s more than half and a pretty extensive cleaning all together. Since then, I’ve added a few categories back into the budget and deleted a few others, but still have around 20. The best part about reducing the number of categories is that it takes me far less time to update our budget and it makes it easy to review with my wife. I’ve also found I’m far less stressed about our budget overall because it’s easier to update, takes less time and I can get a better high level perspective on our spending. I’m a firm believer in less is more and so it seems it concept applies to our personal finance budgets as well. How about you? How many categories do you have in your budget? How often do you clean out your budget? Do you prefer lots of categories, or just a few? Why? Add a comment! When I started budgeting, i had about 25 categories but now have trimmed down to 10. That makes it all the more easier to manage and review the budget. I am a bit embarrassed to say but when I first did this, I used to have 5 pages in my P&L. Now I have 2. I am motivated now to get it down to 1. Thank you. When I first started my budget, I involved all kinds of categories. I had so many, I couldn’t even remember! But, thankfully I have a prudent wife. She took one look at my budget “masterpiece” and said, “you’ve got too many categories!” I narrowed it down and combined categories, making it easier to do the budget. I do keep track of spending percentages per category. It makes me feel better about not having the level of detail I like. Great advice. I was down to 10 categories at one point, but now run about 20, since I want to see detail in certain areas, like gas expenses, and groceries. But some things definitely went out the window – for example, why did I need categories for going out, entertainment, movies, day trips, boating, music, etc, etc…when a category called “Fun” will suffice? Good points. In addition to cutting out the stress, I think you just eventually save more money. For me, it’s the mental thing “This falls in the unnecessary category. Do I really need it?” I like your site! Excellent post – less is more! We had a similar budget category issue with grocery shopping. When we go somewhere like Walmart we pick up food, laundry supplies, a few paper goods, etc. I grew weary of reconciling receipts in to food, cleaning, school supplies, etc. and now we have a “food and household” equivalent of a master category. Under that I only track a few variable expenses that we tend to go over on – like eating out. Everything just rolls up to the master category and if we come in a little under that top figure I’m happy. I’ve only been on the envelope system with a spreadsheet for about 4 months now and already I’ve got almost 50 categories! Thanks for a great post that has inspired me to do a little spring cleaning of my own! Here here here! Yes….to much detail can boggle the mind and detract people from sticking to their budget. We have actually been budgeting for over a year now and as the year passed we widdled it changed it and tweeked it. We now do have a budget category…but we also have a “line” as we call it.. Our LINE is all of our necessary spending categories added up. For us it is 650–it is actually 600 but we put a buffer in a 50 and if it is left over between paydays it gets snowflaked. DH–gets 200–his food to eat out..sometimes food for treats like ice cream for the kids….some tool/gizmo for a house project..what ever he wants. We pay ourselves the 650..we then pay all the bills, anything left over after set expenses gets tossed on our smallest debt–currently a car. Having our line has helped us simplify…occaisionally I don’t withdraw cash…..inevitably I go over my budget when I do that..but the cool thing is my hubby and I are comfortable with the ocassional overages as long as we dont go past our line of 650. I try to keep my budget fairly simple to be honest. The reason for this is that it forces me to watch every aspect of a certain category. For example; I place eating out & going for drinks with friends at entertainment. I feel that if I had 2 seperate categories I wouldn’t feel as bad when I spend money on these items. I hope that makes sense. I keep mine simple… food, groceries, gas, parking, laundry, and social. It helps that I’m in grad school and only really have food/grocery expenses. I use food mostly for when I go out to eat and groceries for groceries. I think I should collapse parking/gas (that only occurred b/c I had a conference…) And maybe make laundry a misc. category. I learned ‘fund accounting’ when I was 19; not only do they use it in business and industry, but it’s great for your personal financial program. I use an plastic envelope system; it has about 10 pockets. They are labled, and inserted are the bills that pertain to that topic. Housing: House payment, home-owner association fees, taxes, insurance, electric. (Our water and trash are paid for through the home-owner association). Car: We’ve paid cash for our 2 cars for over 40 years, so I title this ‘savings for new car’ – I put in $300/month so I can accumulate what it takes for trading in one car; using the accumulated funds as the ‘balance due’. In that pocket is gasoline, repair/maintenance, and insurance. Cable: This includes the I-net/television, and phone (land-line). Mobile Phone: This includes 2 phones. Food and personal allowances: We take personal allowances so we have some spending money that’s not accountable for; add the groceries and our lottery tickets we buy. USAA Mastercard: Any charges on this are strictly for home items. NFCU Visa: Any charges on this are strictly for vacations and clothing. B of A Visa: Any charges on this are for medical expenses/dental costs, and gifts. 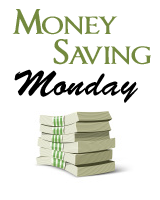 Savings: $1,000/month minimum – $700 goes into CD’s; $300 into a liquid savings account. 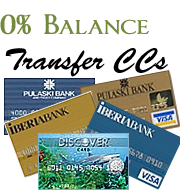 All credit cards are paid off at the end of each month if each card has $500 or less on the balance. If a major expense is more than $500, then we pay it off in 90 days to minimize interest costs. As you can see the categories are about 10 in number; the same number as the ‘pockets’ in the plastic envelope. I’ve been doing this for so many years, I can’t think of an easier way – it’s worked beautifully for us. I have a about 20 categories….these come under larger budget groups such as medical, food, insurance, housing, automobile, etc. It works for me. I have about 25 categories. Some of them are subdivisions (Utilities has gas, electric, water/trash – for example). I used to have more, but when your kids are grown, EVERYTHING gets simpler, really. I’m having the problem with getting frustrated that I don’t have enough to fill all my envelopes. Here are just a few. Home Repair Car Repair, Property Tax, Household, just to name a few. There is no way I can get a good home repair amount built up by putting $10 in each payday. I was thinking of putting all the left over in one envelope until there is a good amount in case of an emergency, than start on the next one. What do you think?